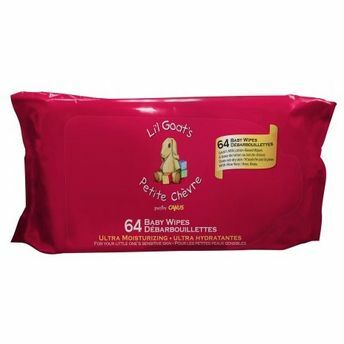 Lil Goat’s Ultra Moisturizing Wipes were created specifically for the soft, sensitive skin of babies, toddlers and children. Of course, adults can use them too, to experience the magical influence of Milk. In many cultures Milk symbolizes fertility, food for spirit and soul, and immortality. This product is mainly created for your health and the well being of your body, but, as we know, the connection between one’s body and soul is unbelievable. Our Wipes are soaked in a Lotion containing Fresh Goat’s Milk, which is a natural and highly effective skin moisturizer. Wipes are soft yet strong, and cleanse your child’s skin while moisturizing. The goal is for your experience with Lill Goat's products to be positive for your skin, your senses, and your spirit. We care very much about touching your children's world in a meaningful way. Explore the entire range of Cotton Buds, Balls & Wipes available on Nykaa. Shop more Caprina products here.You can browse through the complete world of Caprina Cotton Buds, Balls & Wipes .